Currently viewing the tag: "Wireless networking"
I’ve seen these Wave Glider Robots in the news and they were highlighted during the Discovery Channel’s Shark Week. Researchers have been using them to track and transmit the significant amount of information collected from tagged Great White sharks. These sea going robots are only the beginning for the change in the deep penetration of the ocean and sea domain. Being able to track and collect data autonomously from the ocean will unlock significant areas of additional exploration for the next several decades. Clearly there are massive ramifications for my Oceanography counterparts in the direct sensors and data collection. But from a communicators perspective there are significant additional ramifications. Most individuals have experienced the lack of network penetration while sailing aboard their favorite Cruise-liner in a distant vacation hot spot. The wave gliders are already equipped with traditional 802.11 wireless, have GSM for further from shore operations, then shift to BGAN, and Iridium as a final communication capability. Obviously it would need to be slightly modified for mesh network use but if wave gliders were equipped with the ability to create a mesh network infrastructure it would be massively significant. By using wave bots programmed for station keeping they could create this physical mesh network. This would be similar to the much larger anchored navigational buoy’s which have been the maritime technology of choice for nearly a century. 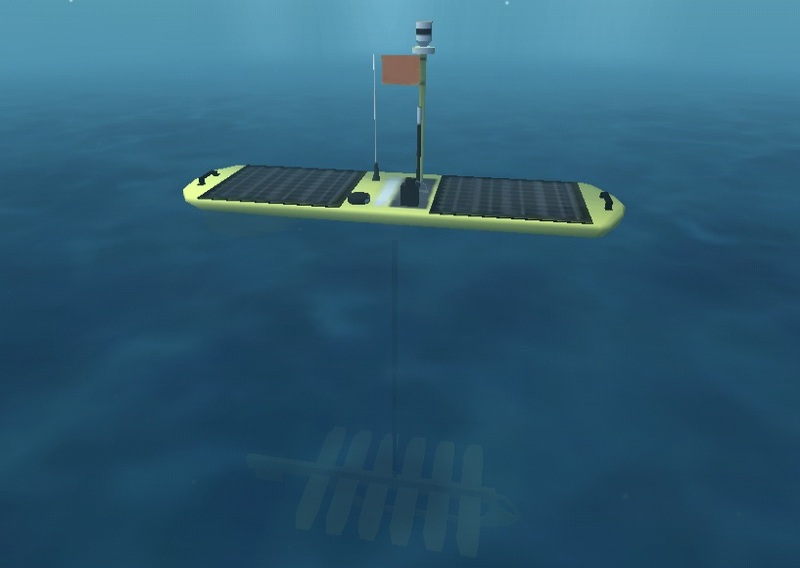 Yet with the Wave Gliders ability to travel without fuel requirements, beyond that of solar and wave power both of which are fully renewable, these bots can become effectively anchored throughout the ocean. Imagine what could be collected, processed, and analyzed from that point? Much more than shark tracking – however awesome! If you’re a fan of Shark Week like I am, check out the 4D Shark Anatomy Puzzle from the Discovery Store (Free Shipping on orders over $75 at the Discovery Channel Store, use code AFFSHIP75 ). If you’re like me you’re looking to make things a bit easier at home but at the same time make utility costs lower while not breaking the bank to do it. Enter the Belkin WeMo into the home automation arena. The WeMo Switch ($50) provides the ability to activate lights or any electronic device to turn on or off on a schedule it provides what we immediately expect from a simple device. But the Belkin WeMo goes further. It has the capability of motion sensing, WeMo Switch + Motion ($100), which will activate desired devices and lights as a family member enters a room and transitions through the others (with multiple WeMos). Obviously this is most immediately applicable to lighting applications or even area fans to cool down a house but you could use it to kill off vampire power devices (the power plugs and other items that simply consume power when not in use yet plugged in). If you don’t desire to place these items on a set schedule you can have full control over them via the iOS application which allows you to remotely turn WeMo’d devices on or off from your iPhone or iPad. This network ability then provides some additional features with IFTTT (If This Then That). This allows for notification via email when the motion sensing capability of WeMo is activated with something like a front door light or even the IFTTT Weather Channel interaction to determine sunset/sunrise and the activation of WeMo’d lights. From this Cyber Fellows perspective this is an excellent step toward the internet of things. What I’d like to see WeMo integrated with Belkin’s Conserve devices to provide power analytics. This would then allow for an automation and control function on top of the power analytics (Air Conditioning just turned on when no one is home). 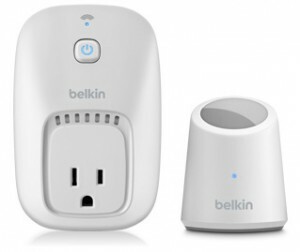 I’m surprised I didn’t see this at CES even though it was there; what I did notice is the numerous devices and companies that are getting into home device automation so Belkin will need to be innovative to stay ahead of the pack in this area.